Learning Disability England (LDE) held their annual customer conference last Thursday. The event was attended by about 200 people at a venue in Manchester. 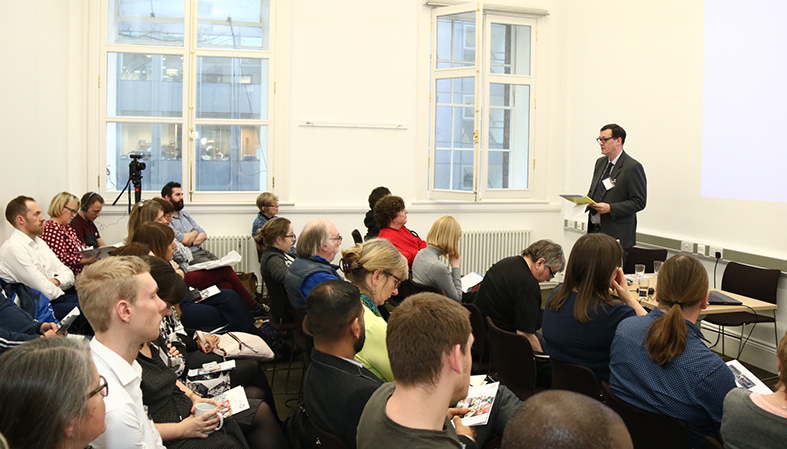 The theme of the event was Building Alliances: Working Together - and this was very much evident in the way the event was organised with a number of organisations attending to lead discussions on issues such as; managing funding changes, how commissioning could be improved and home ownership. Our Head of Investment and Development, Graeme Jackson (pictured) lead a session with Dave Abbey of My Safe Home to promote HOLD (home ownership for people with long-term disabilities). You can find out more about home ownership, on the open market, in our shared ownership section.